Sharon Sager, Senior Vice President, Investments, is a Private Wealth Advisor at UBS Financial Services Inc. A 25-year veteran of the financial securities industry, Sharon previously worked in the textile industry. She graduated from the College of Mount St. Vincent, Riverdale, New York, with a bachelor’s degree in fine arts. Later, she obtained the Certified Investment Analyst (CIMA) degree from the Investment Management Consultants Association. In 1983, she began her financial career at Kidder Peabody & Co., which merged with Paine Webber in 1995 and UBS in 2000. Sager is a member of the board of directors of C-CAP (Careers Through Culinary Arts Program), former co-chairman of the Board of Directors of the Women’s Venture Fund, a not-for-profit micro lender, and served in the President’s Circle of the James Beard Foundation. 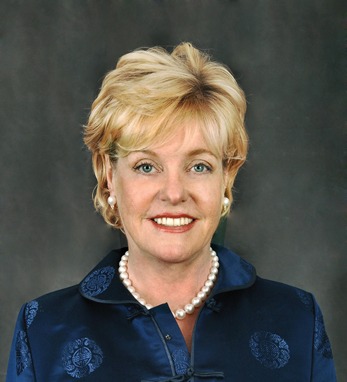 In 2006, 2007 and 2008 Sager was named one of Barron’s Top 100 Women Financial Advisors. Sager is a second-generation Irish-American and, true to her roots, she holds membership in the Irish Georgian Society and the New York Irish History Roundtable. Her father’s family the O’Tooles are from County Galway, while her mother’s, the Carrolls, hail from County Cork.